ClearSky Medical Diagnostics will be heading to Hong Kong in October for the 22nd International Congress of Parkinson’s Disease and Movement Disorders (MDS). The Congress will bring together world-renowned delegates sharing information on neurodegenerative and neurodevelopmental disorders, such as Parkinson’s, hyperkinetic movement disorders and abnormalities in muscle tone and motor control. 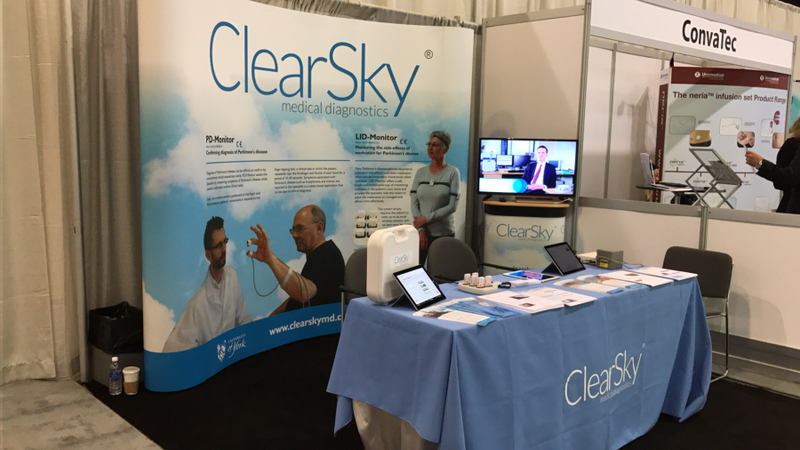 The ClearSky team, including founder and managing director Professor Stephen Smith, will host an exhibition stand at the Congress from 5 to 9 October and will highlight recent research studies featuring LID-Monitor and PD-Monitor. This will include the recently published papers “Evaluation of bradykinesia in Parkinson’s Disease using a computerised evolutionary algorithm” and “Objective assessment of bradykinesia in Parkinson’s disease using evolutionary algorithms: clinical validation” – read and download both papers. We would be delighted to welcome you to our stand – stand L20 at the Hong Kong Convention and Exhibition Centre – to share information about our technology for diagnosing and monitoring neurodegenerative conditions, including Parkinson’s and Alzheimer’s. Get in touch with any questions before, during or after the show.